Conflict in the workplace is almost an inevitable part of working life. It is common to have disagreement with others due to fact that you are working with people who have different working preferences, personal values and working styles. Provided that conflict and disagreement is managed at an early stage and is addressed appropriately, it can help to improve communication, encourage new ideas and allow workers to speak up. However, if not managed appropriately, conflict can escalate into inappropriate and unlawful behaviours which can also transpire into complex and costly stress claims. 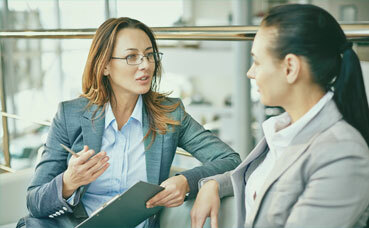 Discusses the conflict situation with the responsible manager to determine that workplace mediation is a suitable solution. Communicate with the conflicting workers about the workplace mediation and seek agreement from the workers to participate. Meet with the workers individually to conduct pre-mediation to understand each worker’s perspective of the situation and identify issues to be addressed as well as possible solutions to the conflict. Mediation is then facilitated by the mediator and the conflicting workers. The mediator will assist the workers to discuss the issues and determine constructive solutions to move forward. The essence of the agreed solutions are documented and the mediator provides feedback to the responsible manager. Options for ongoing monitoring will be discussed to ensure continuous improvement. In the event of complex matters involving high numbers of workers or long-standing issues, our team can conduct a workplace needs analysis. This involves gathering information from each member of the workgroup and its leaders about their perceptions of the strengths, concerns and opportunities for improvement around the current people-related risks​. Download our workplace conflict resolution flyer (pdf)​ for a summary of our mediation and needs analysis services. This is a fully scheme-funded service provided by LGIS. For more information, please contact the human resource risk management team on 08 9483 8888 or admin@lgiswa.com.au. One of the most common causes of workers compensation claims in local government is inappropriate behaviour in the workplace, particularly issues around bullying and harassment. A 2015 SafeWork Australia report revealed that workplace bullying and harassment was the second most common factor in accepted workers compensation claims under the category of “mental stress”. The report also indicated that there has been an increasing trend of claims relating to workplace bullying over the last ten years. Workplace bullying and harassment is not always easy to detect – the behaviours are not often obvious such as raising voice and inappropriate touching. Especially with technologies, unacceptable behaviours can sometimes be carried out through emails, texts and social media which are not always immediately noticed by management in organisations. If left unmanaged, isolated bullying and harassment behaviours can rapidly escalate into organisational wide issues because these behaviours might be seen as acceptable around the workplace. This will encourage more similar behaviours to occur, your workforce will be divided and poor workplace culture sustained. The most effective way to prevent this kind of inappropriate behaviour in the workplace is by providing training to ensure all your workers share the same understanding of what is appropriate and inappropriate behaviour in your workplace. The first workshop designed for all workers, aims to educate and raise awareness of expectations around appropriate behaviours in the workplace. The workshop aligns with legislation guidelines and your organisation’s policies and procedures. The aim of this interactive workshop is to encourage your workforce to understand the negative impact their behaviour could have on others. The supervisors and managers workshop has additional content to help participants understand how to manage the inappropriate behaviours of workers as they arise in line with legislations and organisational policies and procedures. Real case studies will also be provided to allow for insight and discussion with participants on financial, legal and other costs / impacts associated with bullying and harassment in the workplace. For more information about this, please contact the human resources risk management team on 08 9483 8888 or admin@lgiswa.com.au. 3 hours - managers Looking at your organisation’s policies and raising awareness of the issues and effects of alcohol and other drugs. 3.5 hours - managers Ensuring workers have a consistent understanding of appropriate workplace behaviours including the prevention of discrimination, harassment and bullying. Contact and grievance officer training 2 full days Training in line with your organisation’s policy and procedures to support the prevention and handling of workplace behavioural issues and complaints (including discrimination, harassment, bullying and other unacceptable behaviours). Mediation training Approx. 2 x 3.5 hours Developing self-awareness and practical skills for the provision of informal mediation services to handle conflict or grievances between workers. Mental skills training 90 day program – can be coaching or facilitated workshops Assisting workers to better manage themselves in the face of hassles; in and outside of the workplace. This can be one-on-one training or a group program. Personal productivity in 2016: is perfectionism getting you down? What can you do to improve your personal productivity in 2016 without failing into the trap of dysfunctional perfectionism? Ever noticed how different people see and hear the same words and messages, yet respond in different ways? Everyone processes information differently and sometimes people respond in ways that might be perceived to be ‘difficult’ to deal with. Besides personality differences and cultural diversity, it is becoming increasingly common to find multiple generations (Baby Boomers, Gen X, Y and Z) of leaders who are managing workers from different generations.